Closed: Fixed 2 years ago Opened 2 years ago by alexove. The most of current designs were not maked thinking about gender but they are not atractive for women maybe because the colors are a little serious or some thins like that. 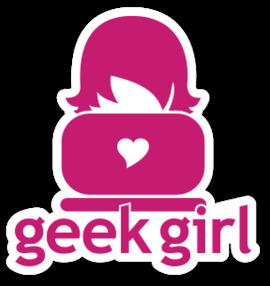 We need to get a sticker design for women that atrac them and permit to indentify herself as fedora users/colaborators. Something like this sticker or better idea. We need the design for next saturday (2017/08/05). @jflory7 great idea. @alexove can you use the design @maryshak1996 came up with in #537? @duffy , Can we modify desing it to be a sticker?? it can be maybe modified if you would do your work first. Find a vendor, look for his prices get a decision what production method and which size it shall be, look for the regulations of the vendor and THEN make a ticket with them included. @maryshak1996 what do you think about this mod to the design? @alexove @alyaj2a as @gnokii alluded to above, we do need some specs to modify the design and prep for printers. do you have a vendor in mind? what shape of sticker (round, sq, rectangle, die cut)? what material (shiny? matte? transparent or opaque? etc) roll or sheet? etc. Understanding these things will help us produce a design that'll work and won't have unnecessary extra expense involved. @duffy ya I think that this would make for a cute sticker! Depending on how they choose to have them cut, another option could be to cut the bottom root part and put the flower part in a circle/square/some standard shape and then just have "Fedora Diversity Team" be a title along the top or bottom edge? We are planning to print stickers for Fedora Womens Day (https://pagure.io/fedora-diversity/issue/36) and it would be great if we can use the final design for this ticket. @alexove Did you print these stickers already? Hey @bee2502 - I like the idea of adding more colors to represent diversity and inclusion. So I did it and will prep for print htat version. Here's the updated design; expect print-ready files shortly after. I'm going to close this ticket now because I believe the work is complete. If you'd like something changed or need something else, please feel free to reopen! @duffy Love it! Awesome work! @duffy just noticed, there is no space between the text 'Women in Fedora' in final version. Sorry for the trouble. Here's the fixed files, good catch on the kerning! 1 - what is the final dimension of the sticker as described in https://pagure.io/design/issue/538#comment-456787 - we are getting ready to place the first orders. Also, @alexove if LATAM would like these, it would be great to be able to combine them with the FWD orders to save $$. 1) in the file it's set to 8"x8"; the printer should be able to scale to any size. if they are not willing to do this let me know the actual size since both 2" and 3" have been discussed.